By scrolling the Instagram gallery of Carlo Alberto Maccan Romanoff, you can immediately see his passion for travelling, luxury and fashion, and when you hear him speak you would be impressed by his perfect English accent. But Carlo Alberto was born in Italy, even though from his dad side he’s linked to the Russian nobility while from his mom side to the Italian aristocracy. Born and raised in Venice, Italy, at the age of 18 Alberto decided to move to London where he graduated, first in Architecture at the Architectural Association and Cass University and then, at the age of 23, he completed a master degree in International Business and Finance at Regent University. With a passion for traveling, luxury and fashion, Carlo Alberto has proven to be able to represent the ideal of many high fashion brands as well as hotels and travel networks. Carlo Alberto’s Instagram profile boasts almost 200,000 followers – he has become a travel and fashion influencer in his own right; attracting the attention of fashion icons, fashion houses and luxury hotels around the globe. 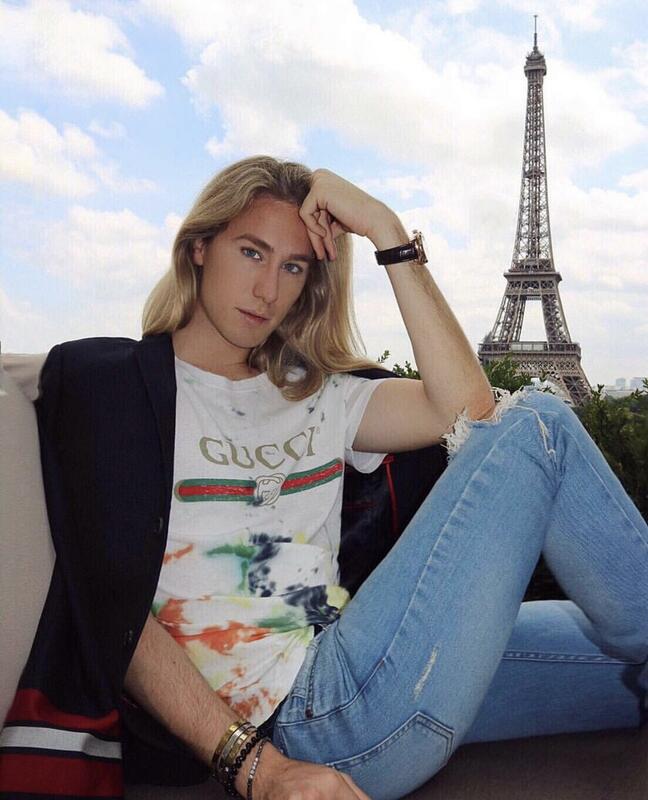 He made his TV debut in an Italian documentary followed by a Channel 4 UK show, and is set to star in a new Italian TV show about influencers. His Style and look has been noticed by many different international brands such as Tony Ward Couture, G. Inglese, La Perla and many more. Carlo Alberto has been Brand Ambassador of La Perla, San Benedetto Water, Ralph Lauren fragrances, G inglese and many more. Carlo Alberto is not an ordinary Influencer, as if this wasn’t enough he is now working in the world most important accounting organizations and the largest professional services network in the world, to be ready in the future to take over his Family Multimillion dollar Business, the Multinational Friul Intagli Industries, the largest furniture component manufacturer in the World.